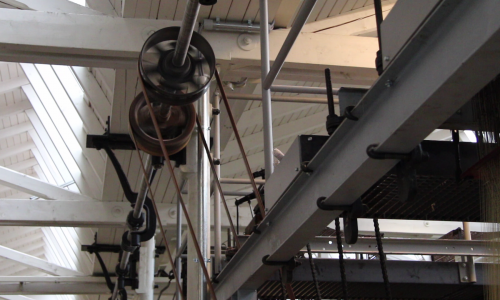 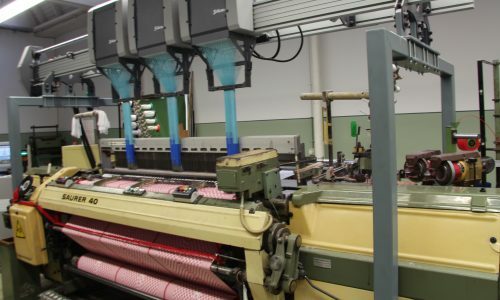 The automatic yarn supply, which can be heard in this recording, is a small external machine on the right hand side of the weaving machine. 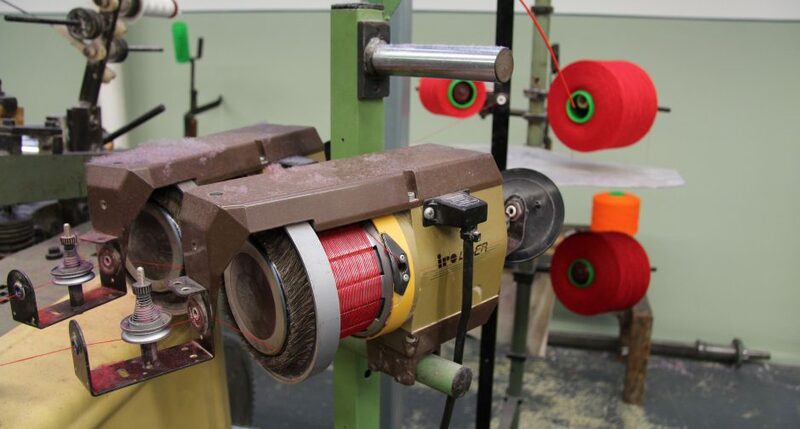 It unrolls the yarn and issues it to the rapier rod. The rapier rod then carries it as weft thread through the warp threads. 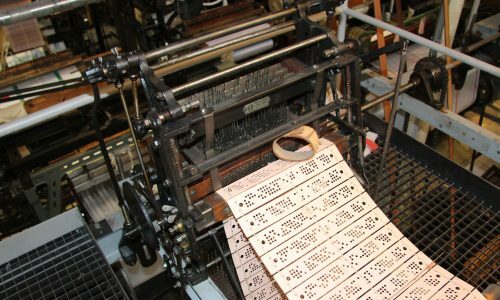 Since this happens at such high speed the automatic yarn supply issues the thread with an exact tension to prevent the yarn from tearing.